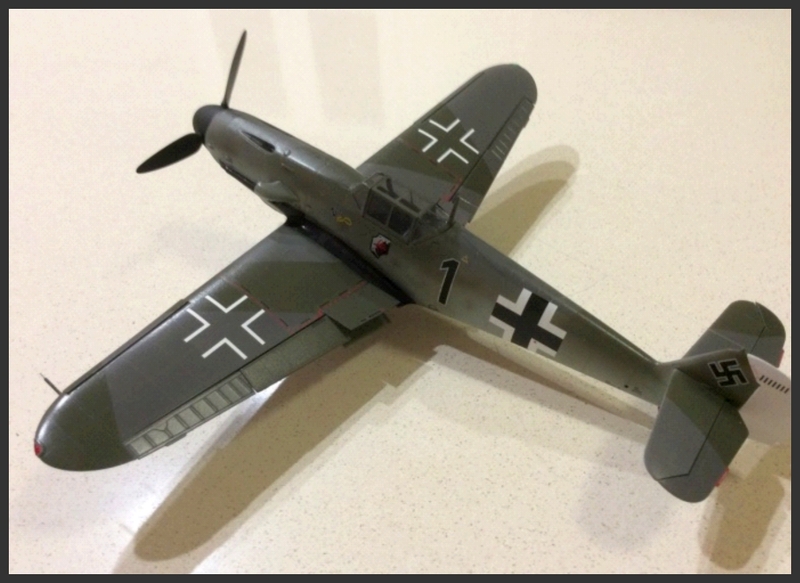 1/32 Heinz Knoke’s Messerschmitt Bf 109 G-1 | The M.o.B. 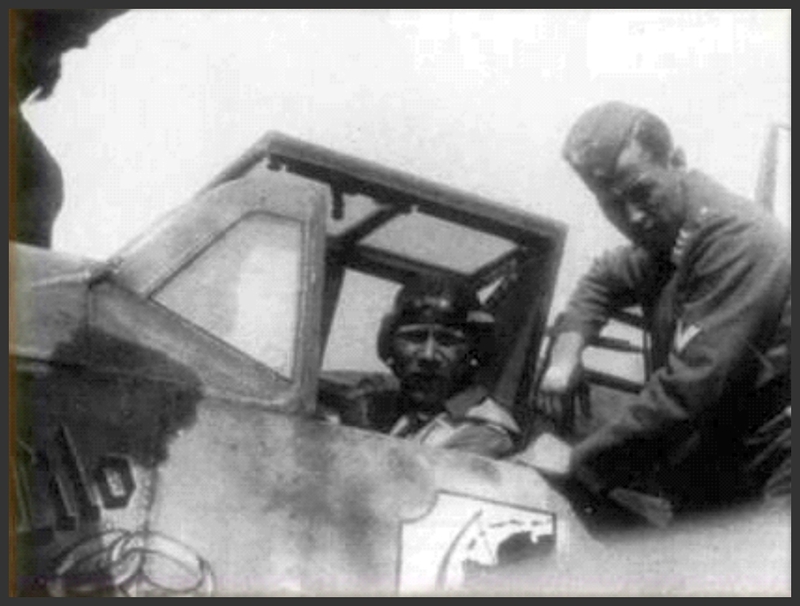 One of the better diaries from the Second World War is that of Heinz Knoke, a distinguished fighter ace whose book “I Flew for the Fuhrer” offers insight into the mind of a serviceman who was an unabashed Nazi and patriot. Knoke writes vividly and truthfully of his combat experiences as well as his personal life, his philosophy and his emotional commitment to his homeland. When Flying Fortresses began to appear over Germany in early 1943 it was clear that successful interception presented a problem. At this time Leutnant Knoke was the Staffelkapitan of 2/JG 11 based at Jever on the North Sea coast, on the route to targets in northern Germany and the Ruhr. 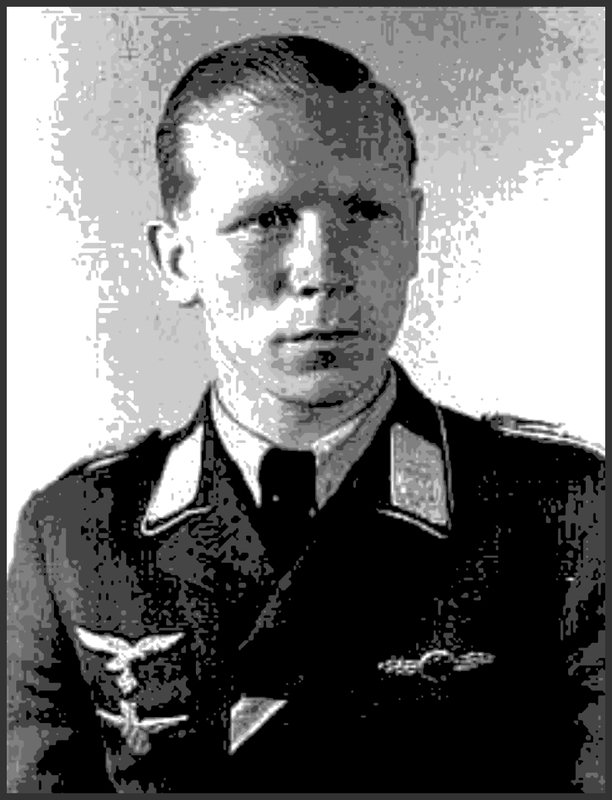 The staffel had discussed the problems of intercepting large formations of B-17s flying at high altitude and Knoke and his friend Leutnant Dieter Gerhardt had hit upon the idea of aerial bombing. Using time fused 250Kg bombs small formations of Bf 109s might fly above the bomber boxes and release bombs into the formations. Trials with time fuses proved the feasibility of the plan and on March 22, 1943 three Bf109Gs of 2/JG 11 successfully attacked a formation of B-17s by aerial bombing. Knoke’s bomb exploded in the middle of the enemy formation, bringing down one of the bombers. For this he was personally congratulated by Reichsmarschall Goering. Knoke went on to score 33 confirmed aerial victories, including 19 four-engined bombers and a further 19 unconfirmed claims and survived the war. 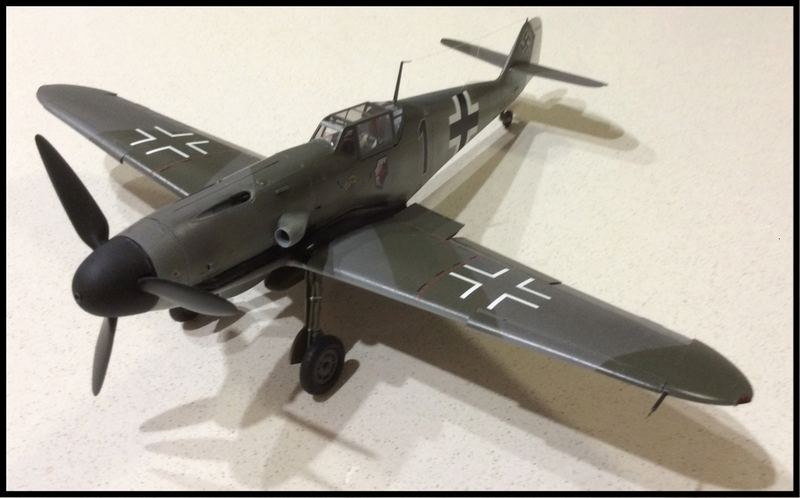 I elected to build a 1/32 scale model of Knoke’s Bf 109 G-1 as used for aerial bombing. There are no kits of this version but conversion is simple. The G-1 was a high altitude aircraft with a pressure cabin. The cabin was sealed by redesigned head armour and an intake for the compressor was placed to the left side of the cowling. I had a Trumpeter Bf109 F-4 in the stash. 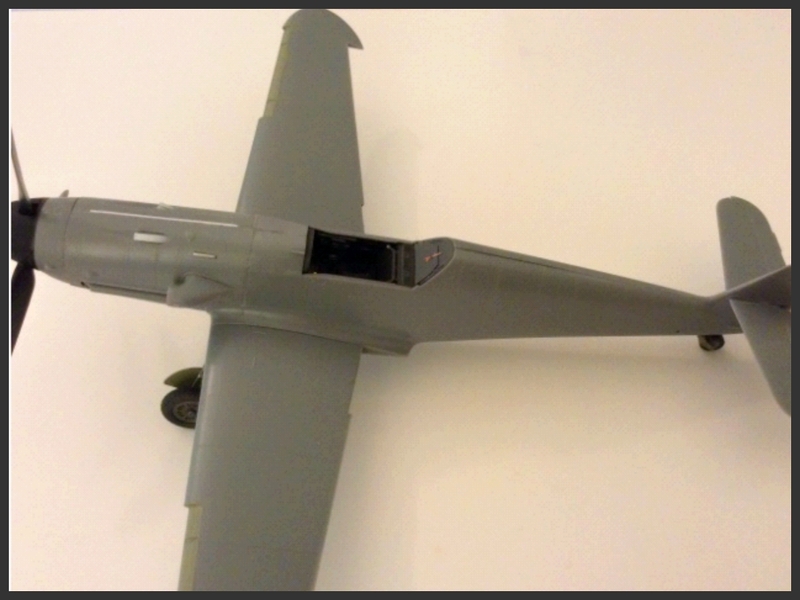 This model represents a G-2 fairly closely (because it is one) and apart from the misshapen rudder has good shape. All I had to do was make a compressor intake and remake the rear cockpit armour plate. Decals in this scale are available from Peddinghaus. As anyone who has read the book of Proverbs (16:9) will know, announcing a plan is a good way to hear God laugh. 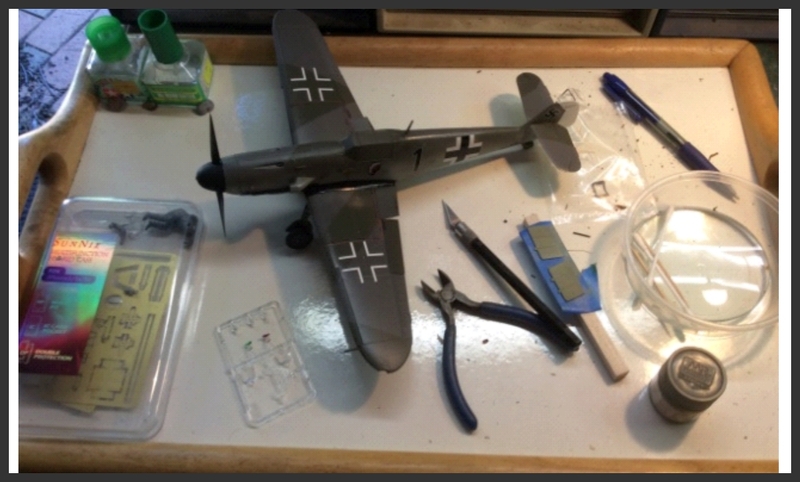 Trumpeter’s 1/32 Bf109F-4 is basically a good kit as far as shape and surface detail is concerned. The rudder needs a replacement or a bit of widening with plastic card. There is a drop fit from Loon models or one could be taken from another 109. Cockpit interior is pretty good but I tricked it up with some Eduard Photo etch. 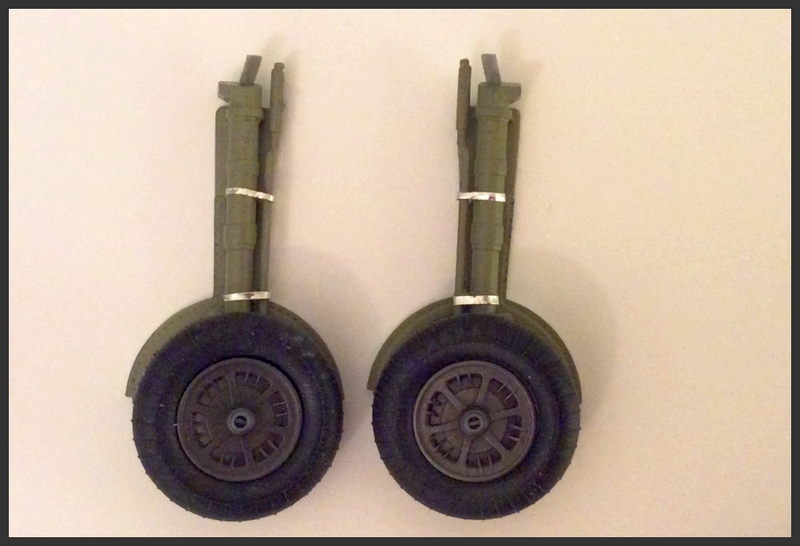 I made the fuel pipe out of Telstra wire with the clear part from stretched clear sprue. The pressure sealing part of the hood was made from clear sheet with the triangular windows masked and the remainder sprayed RLM 66 before attaching the headrest. 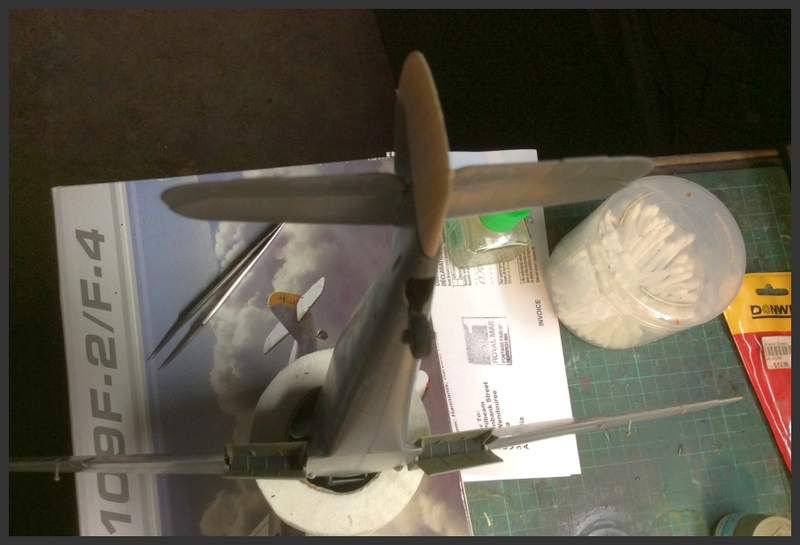 If there’s a word to describe the Trumpeter Bf109 series it is fiddly with a fair bit of over engineering happening. I can’t get with individual exhaust stacks and the attachment of the radiator flaps is complex. The fuel tank is supplied so if you want to go to town with a strip down diorama you can but I’m not that kind of guy. These pictures show some of the build. Nearly done. The aerial wire is invisible mending thread with the tensioning spring from the filament of a burnt-out light bulb. 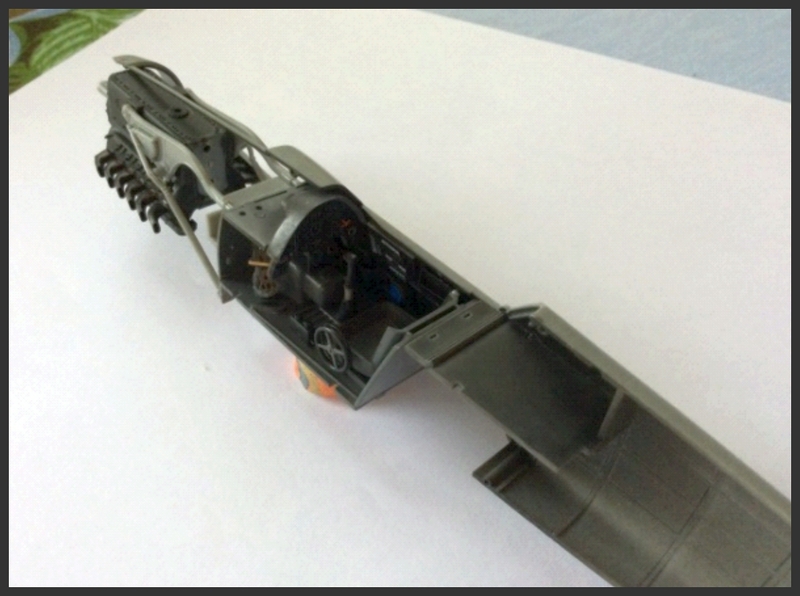 U/C legs were reinforced with paperclip wire after one broke. I went with the instructions from the Peddinghaus decals and did not paint the under cowling yellow. The plane was new and had been polished to improve its performance so I didn’t do much weathering. I remembered to put the silica pellets inside the canopy as I thought some smartarse would ask where they were. 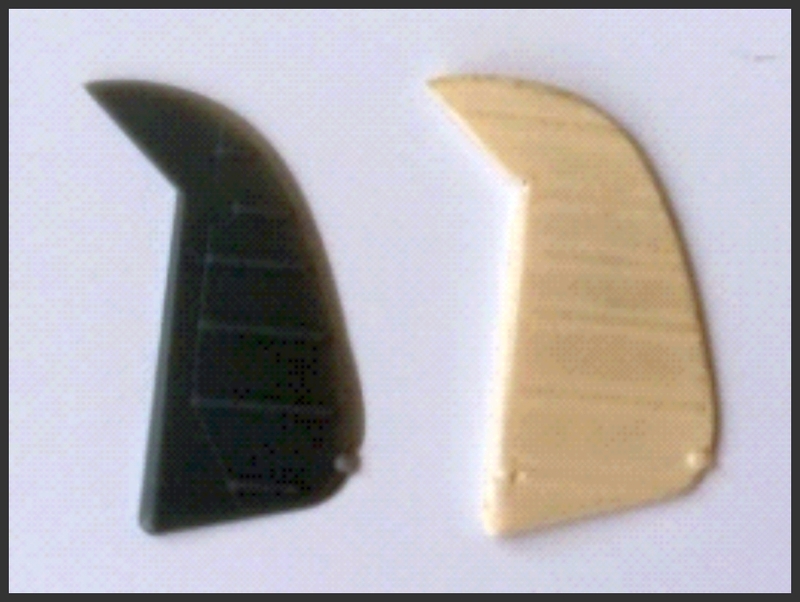 These were done from .005 plastic sheet using a hole punch and secured with PVA glue. The kit was fiddly but turned out pretty well. The parts fit well and if you want to anatomise the model there is a good basis for this with lots of internal detail provided. 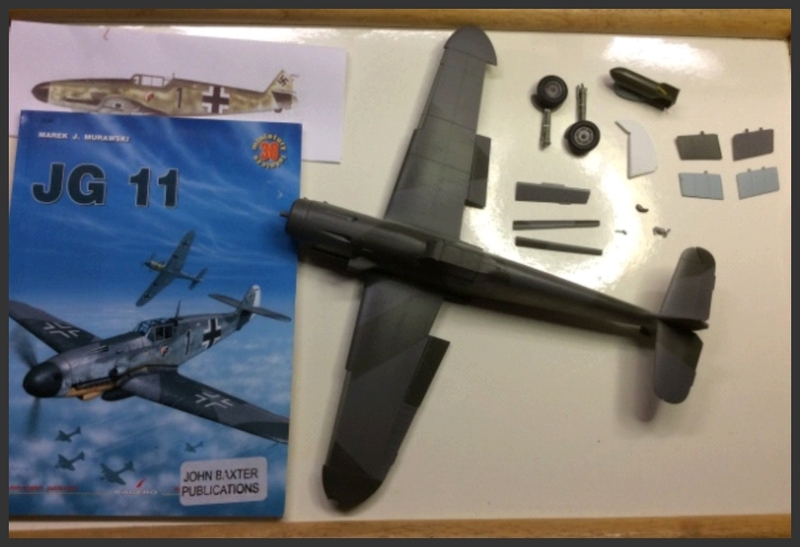 Although sold as a Bf109F-4 the mouldings are for a Bf109G-2 and if you actually want to make an F-4 from this kit it needs a different prop with the pointed blades and the canopy differs in a moral sense from that offered. There is a conversion set available from Aires with all necessary parts for this and it’s very good. A word or two about Peddinghaus decals: very good. These cover a range of schemes you won’t find elsewhere, especially WW2 Luftwaffe. They do need to be cut from a single transparent sheet but this is no chore and once applied they are thin and strong and snuggle down over surface details nicely. The dimensions of the Balkenkreuz did not quite fit with the ones in the photos I was using so I nicked some from the dungeon. All in all this was a satisfying build and a fitting tribute to a man of courage and integrity, even though he fought for the wrong side.